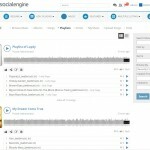 Social Music Solution – Your community music playground – is the place to enjoy and expand your love of music, enjoy all the entertainment available in your community, your social network. 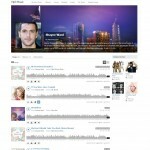 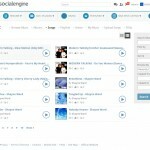 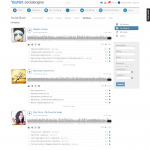 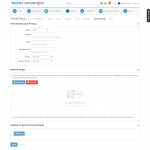 Social Music with its niche layout, stylish arrangement, your music can be organized in a compact way on the page. 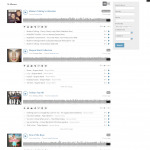 It’s where your Users can explore their favorite Albums, Songs by Full Player or Mini Player. 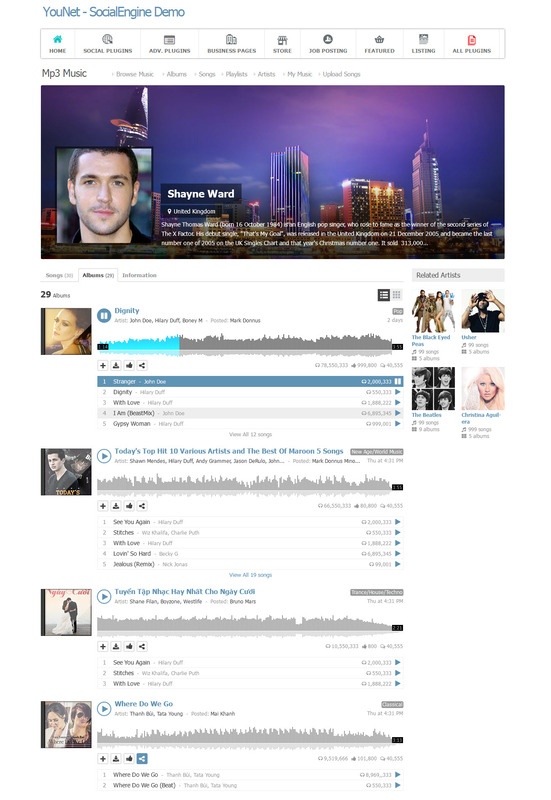 Thanks to its responsive layout, User will be able to look through music on their mobile phone, tablet, etc... everytime and everywhere. 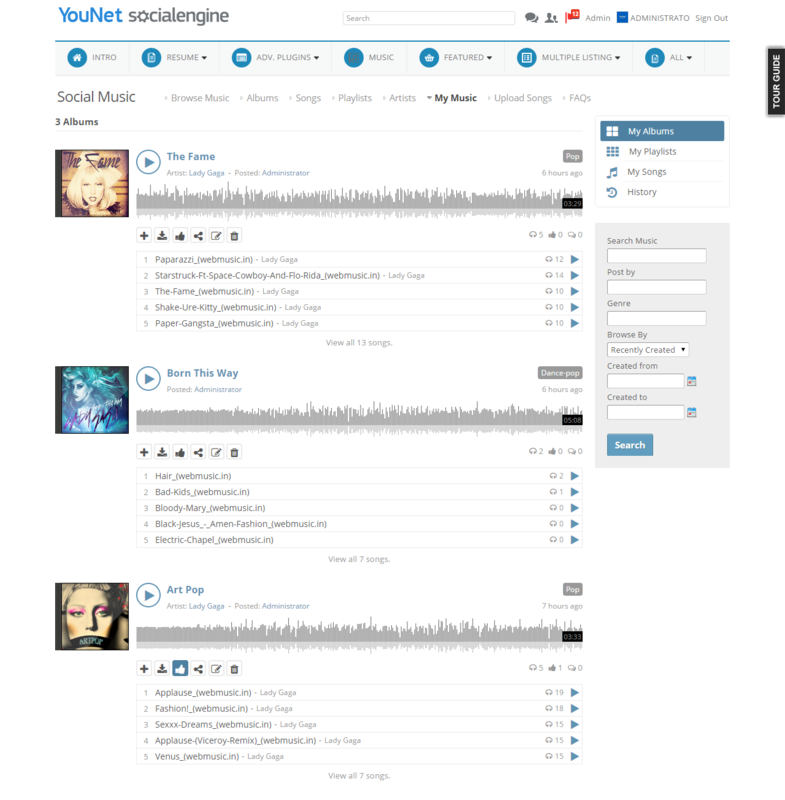 There is also the integration of various modules such as Credits, Advanced Comments, Advanced Feed that ideally make the full use of Social to Music and others interesting modules which will be updated soon. 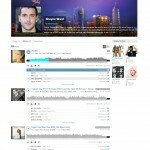 Migrate From MP3 Music is only valid if both MP3 Music and Social Music are in active mode. 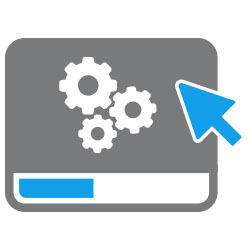 Optional: LAM library is required, go to SSH account and run # yum install lame. 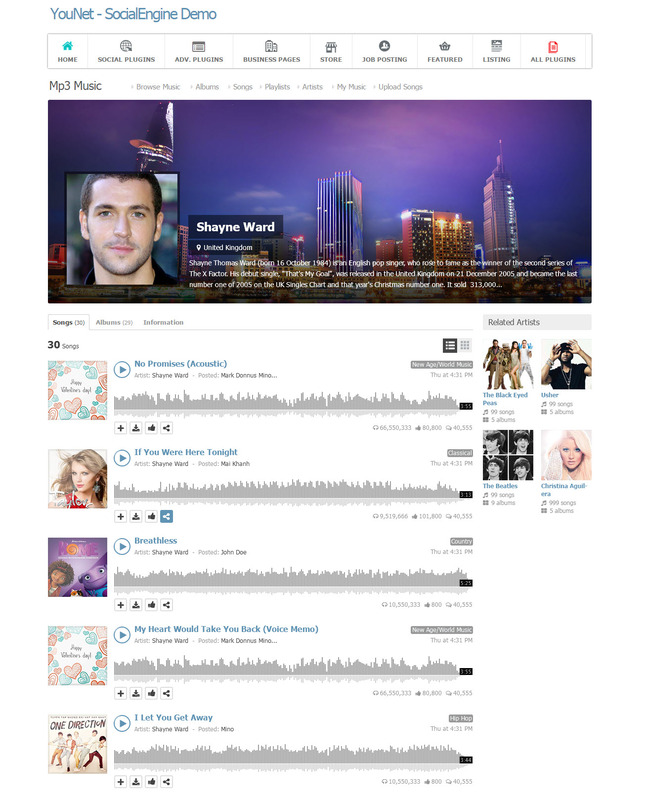 Separated pages for Albums, Playlists, Songs, Artists. 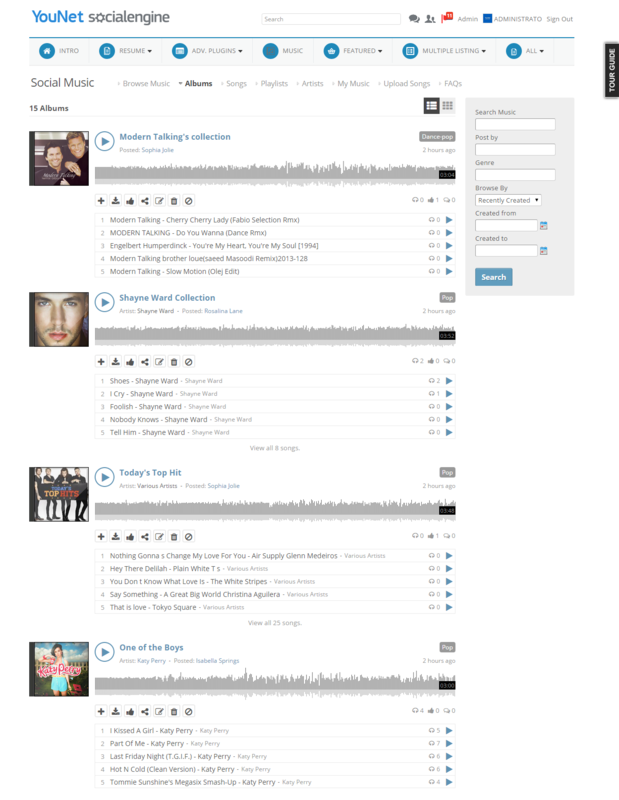 Niche layout for each page of Albums, Playlist, Songs and Artists. 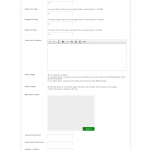 All the pages will contain Cover Photo and Main Photo. 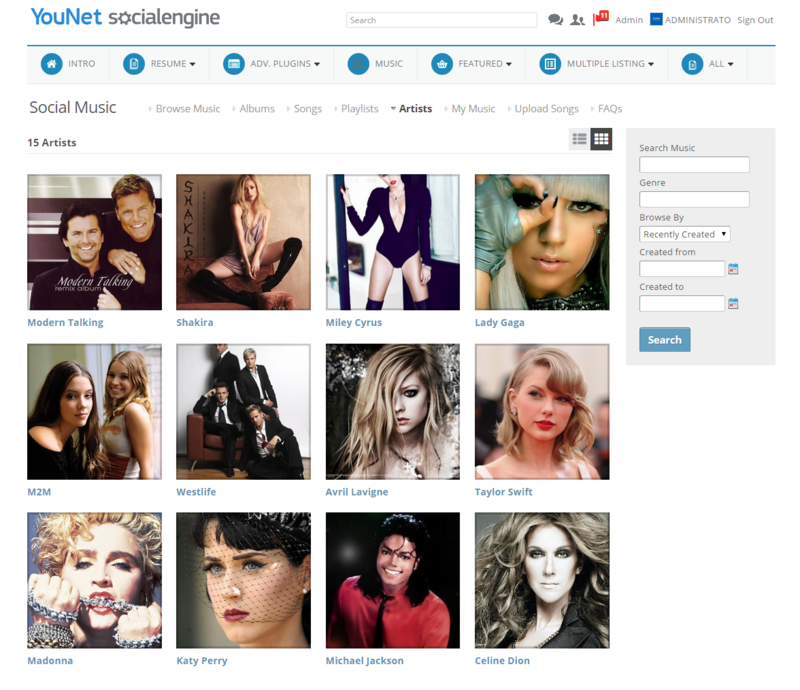 Albums: User will be able to view albums with 2 different view modes : Grid View and List View. 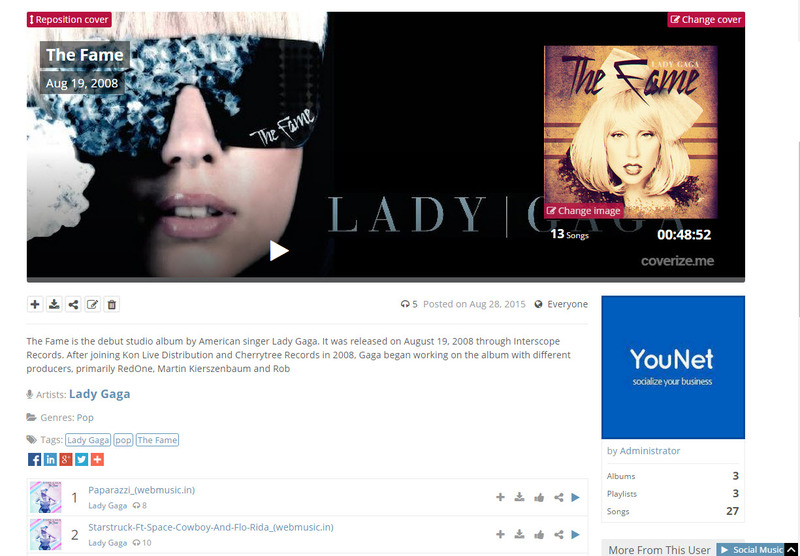 User may edit, delete their created albums as well as add album to playlist, download album, like album, share album. 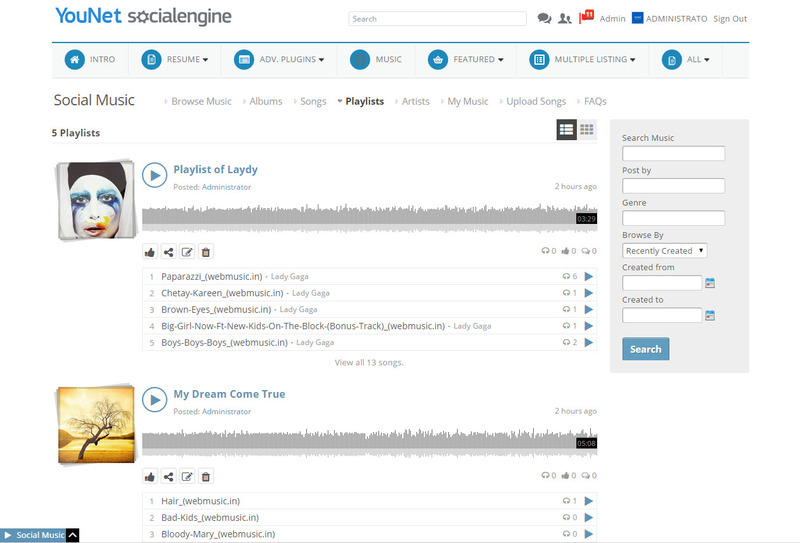 There is also the Search Music widget available. 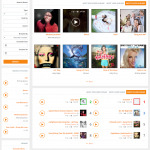 Songs: User may edit, delete their created songs, add song to playlist, download song, like song, share song, and able to view the songs with two different view modes: Grid View and List View. 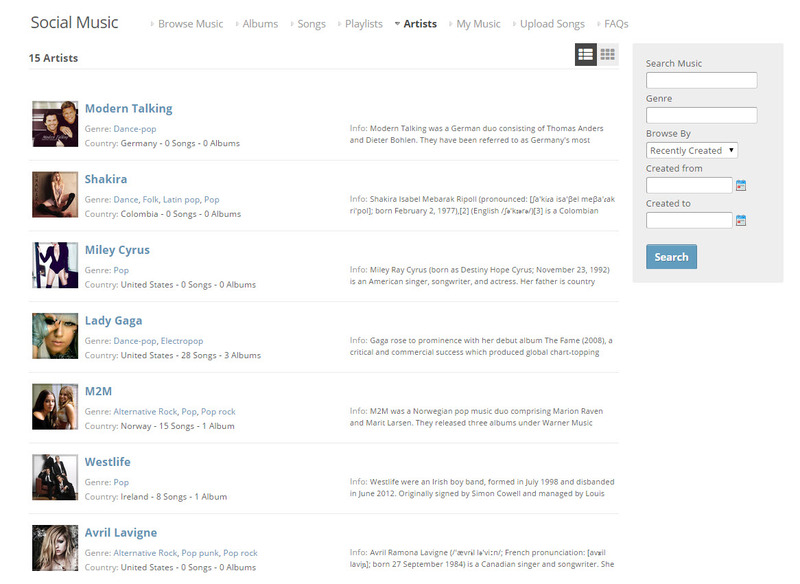 There is also the Search Music widget available. 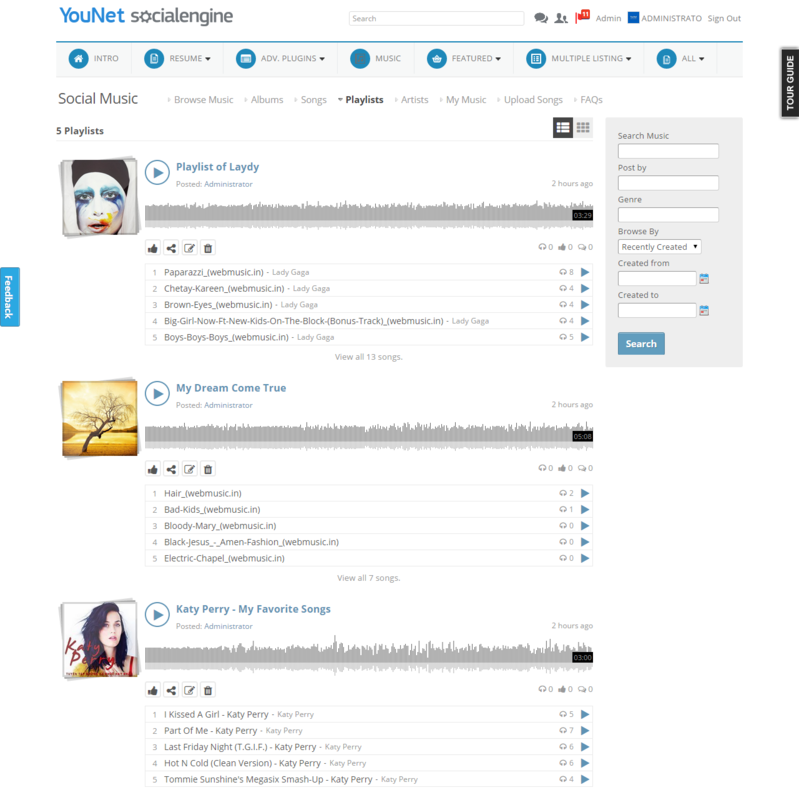 Playlist: User may edit, delete their created playlist, like playlist, share playlist and able to view the playlist with two different view modes: Grid View and List View. 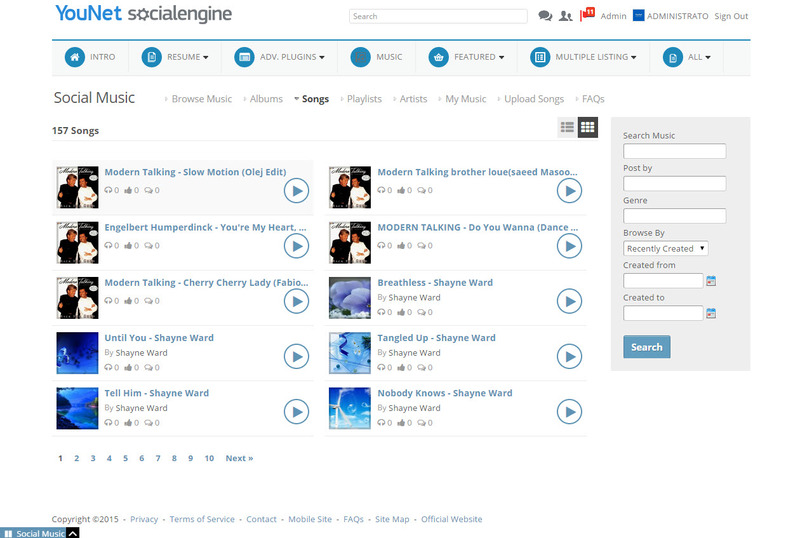 There is also the Search Music widget available. 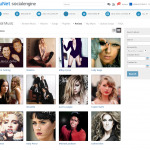 Artists: There is a list of created Artists with the information of number of songs, albums, country, genre of that Artist. 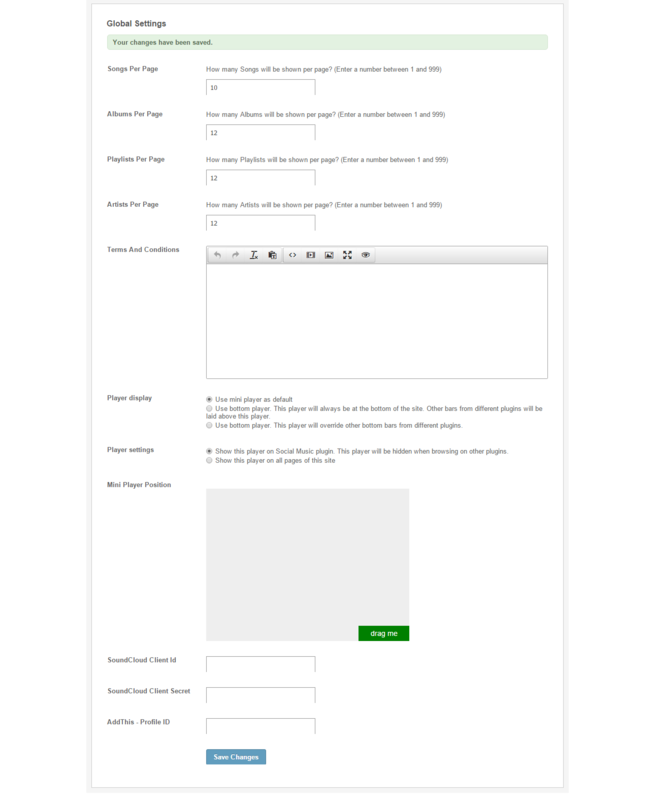 Admin will be able to add artist on AdminCP. 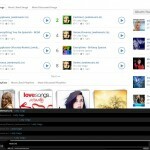 My Music: is where contains all the Songs, Albums, Playlists created by User, and the User’s history as well. 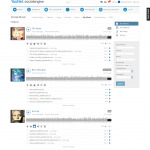 Upload Songs: User will be able to create the song using existing album or creating new album. 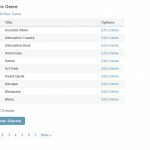 User can upload their songs by drag and drop into the box and re-order the songs list. 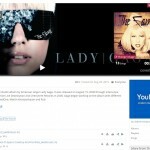 Music Player: Support Full Player and Mini Player. 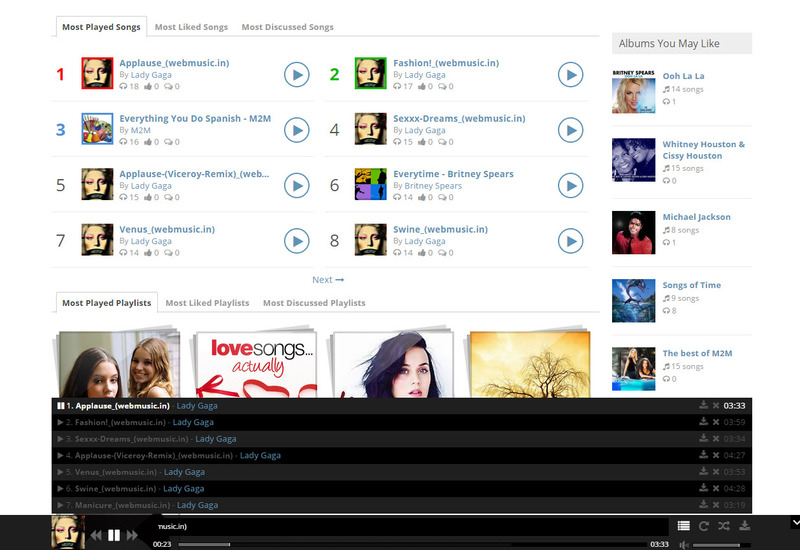 Global settings: admin can config the Player Display as using mini player or Bottom Player. 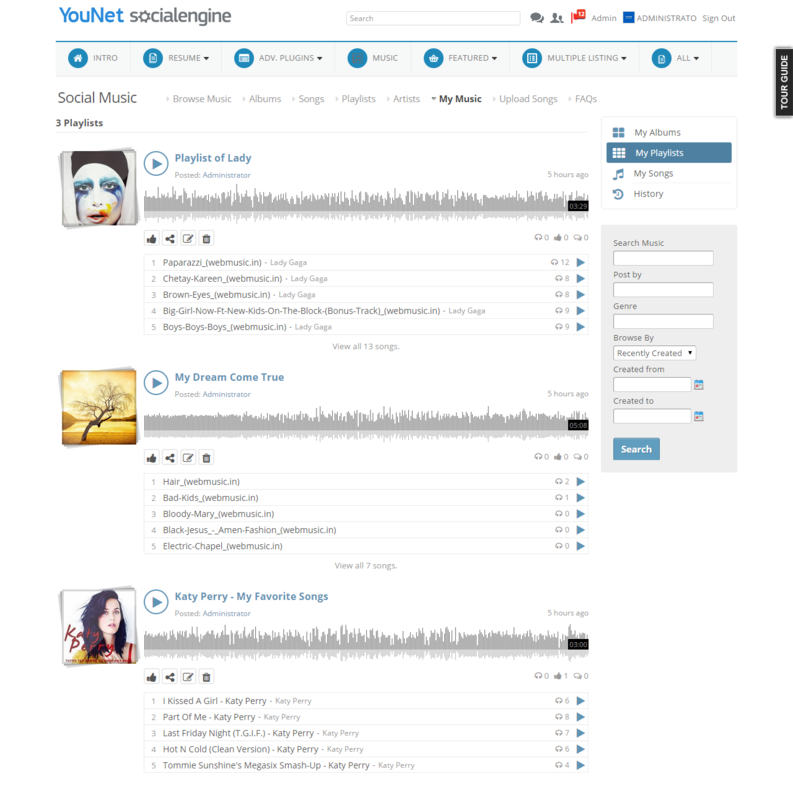 Admin also can set the position of Mini Player to the left/right/bottom/top. 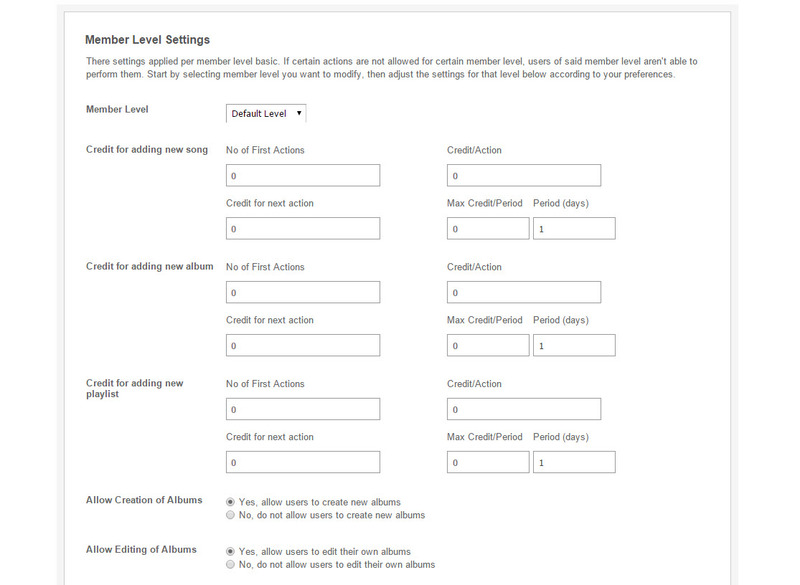 Member level settings: admin can configure many settings for each member level such as: the credit for adding new song/new album/new playlist, the permission for viewing / creating / editing / commenting / deletion the albums/songs/playlist. 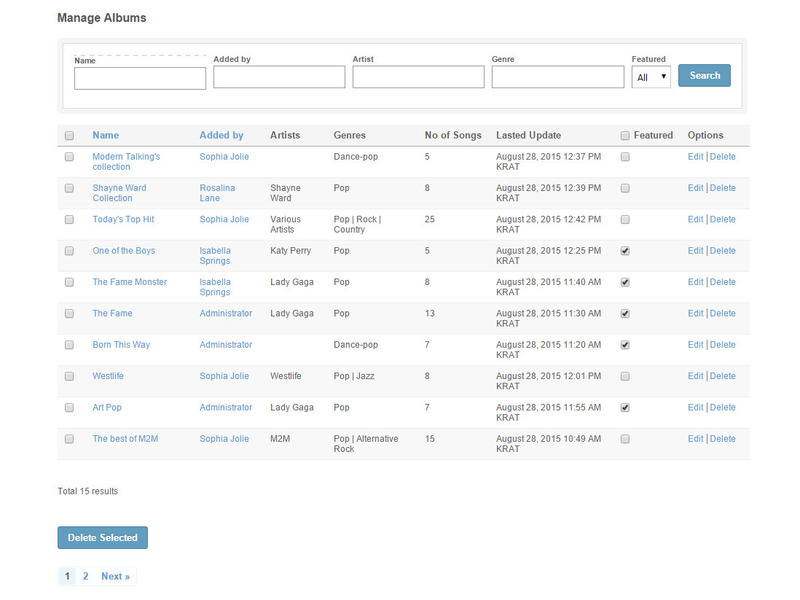 Admin also can set the maximum songs per album/playlist this level can created as well as maximum filesize, storage. 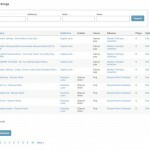 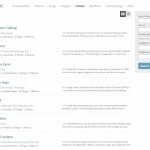 Manage songs: admin can search songs by Name, Added By, Artists, Genre or Albums. 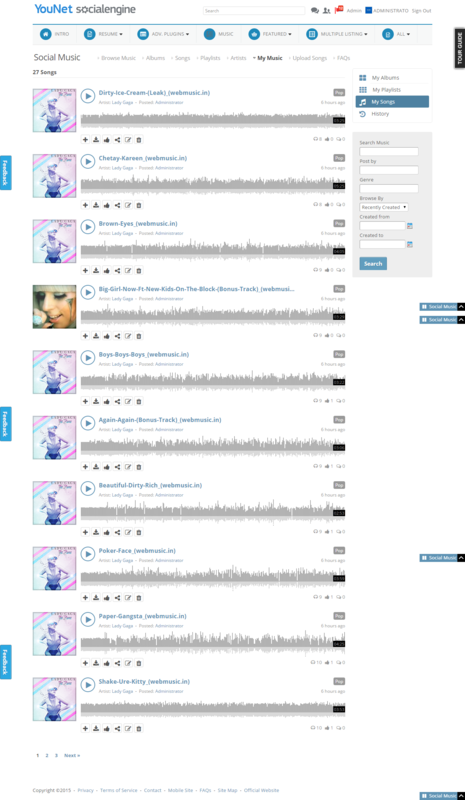 And perform many actions on these songs such as Featured, Edit/Delete. 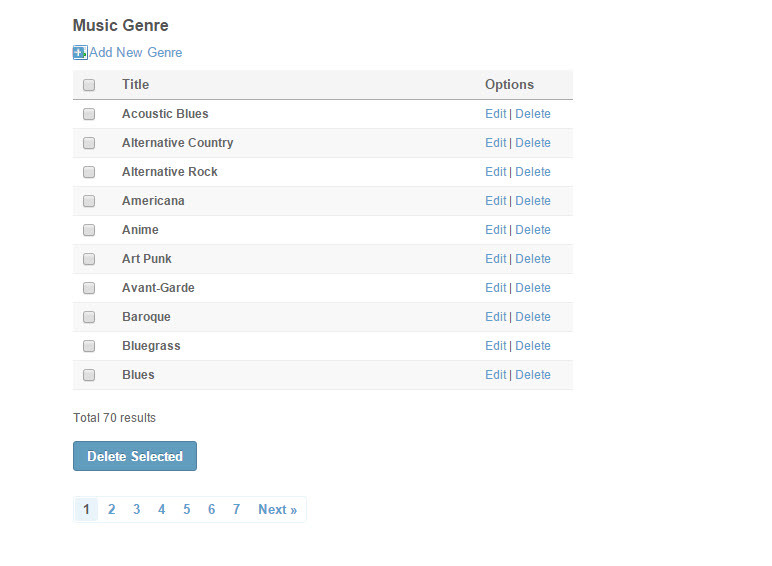 Manage albums: admin can search albums by Name, Added By, Artist, Genre. 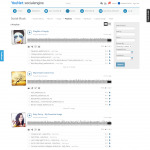 And perform many actions on these albums such as Featured, Edit/Delete. 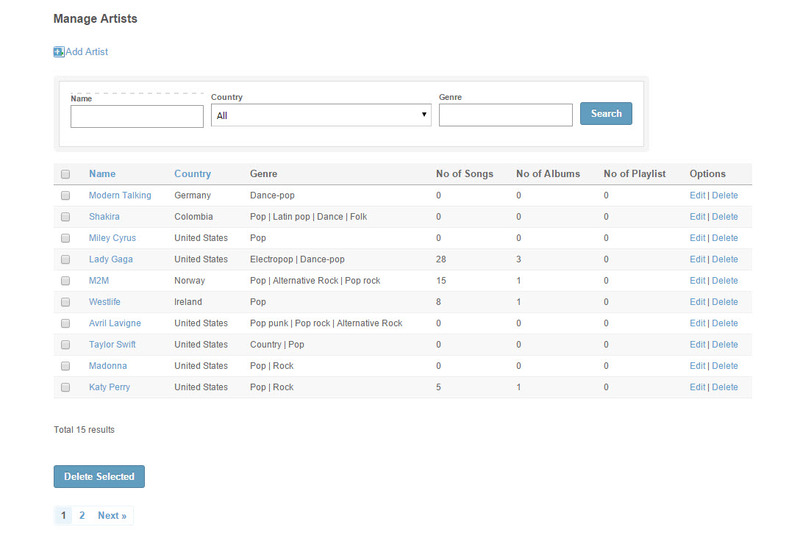 Admin can also view the Number of Songs of each album as well as the Latest Update. 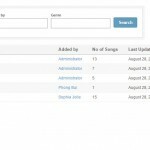 Manage playlists: admin can search playlists by Name, Added By, Genre. 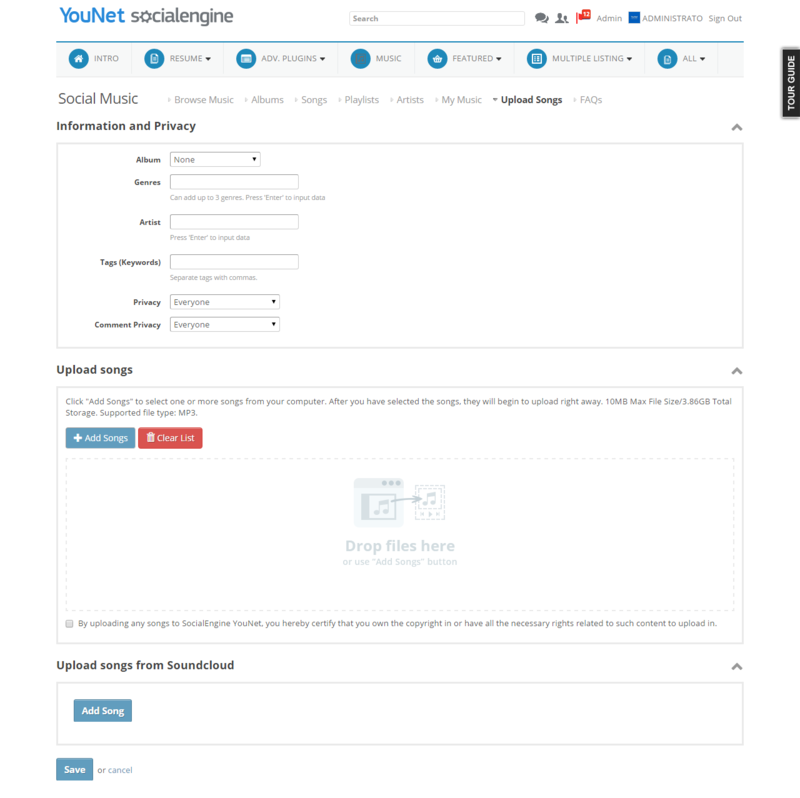 And perform many actions on these albums such as Edit/Delete. 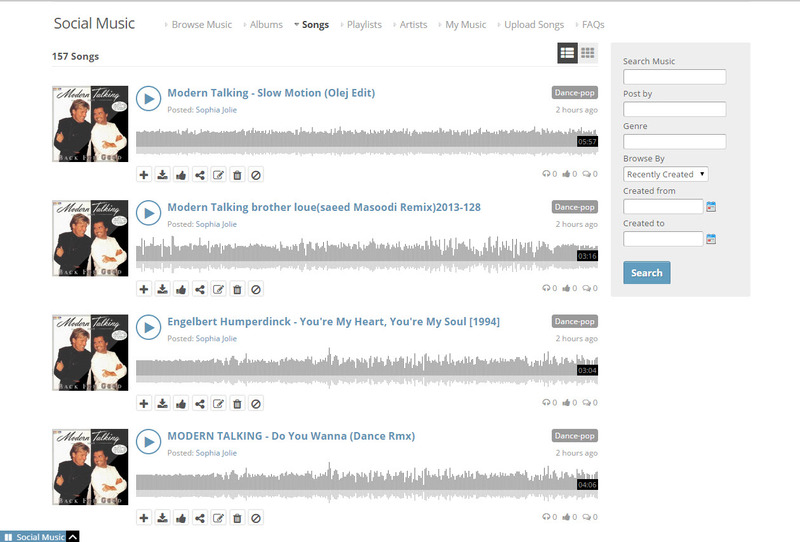 Admin can also view the Number of Songs of each playlist as well as the Latest Update. 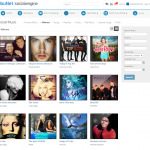 Manage artists: admin can search artists by Name, Country, Genre. 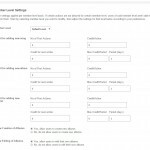 And perform many actions on these albums such as Edit/Delete. 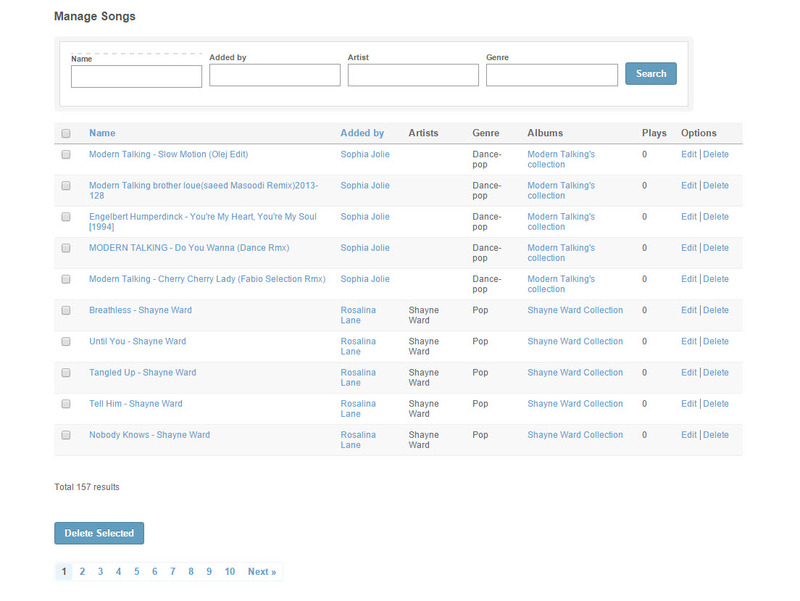 Admin can also view the Number of Songs, Number of Albums, Number of Playlist of each artist. 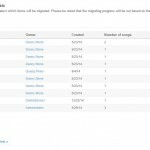 Admin can also Add New Artist. 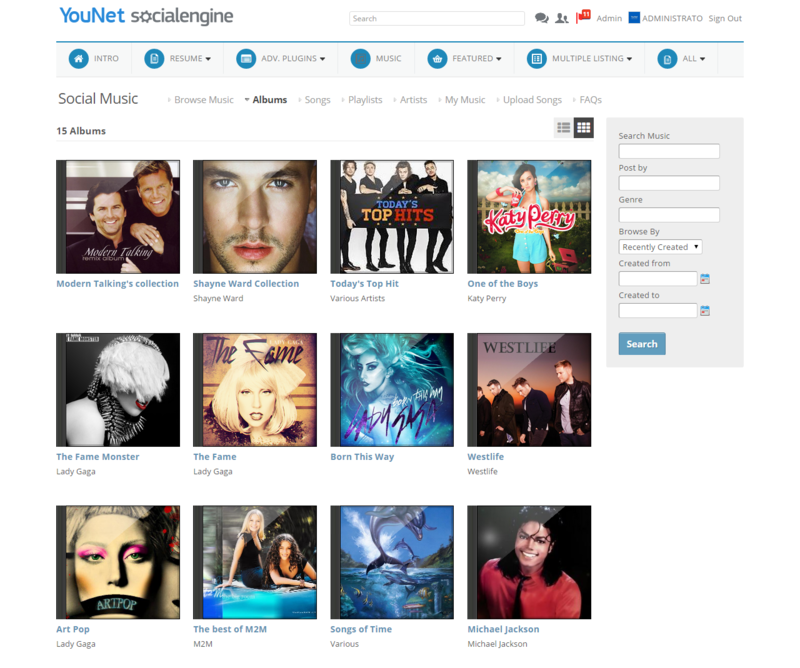 Migrate From MP3 Music: admin is able to migrate selected albums/playlists which are available in the existing MP3 Music module into Social Music by select the Albums/Playlists. 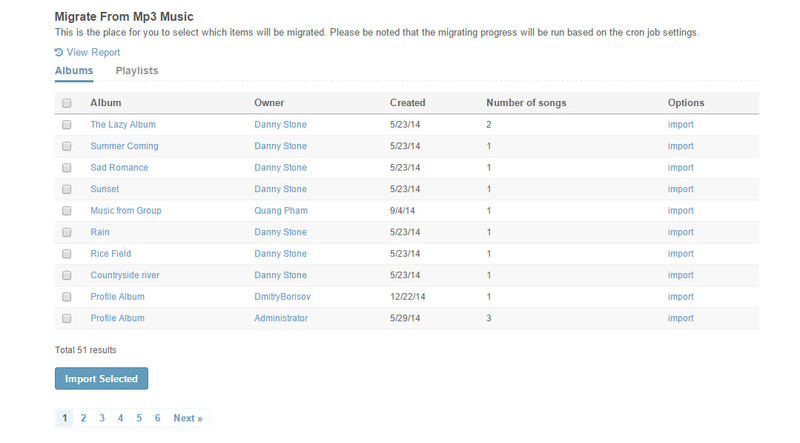 Admin can also view the Migration Report to have the record of which Albums/Playlists have imported, are importing or not yet import.